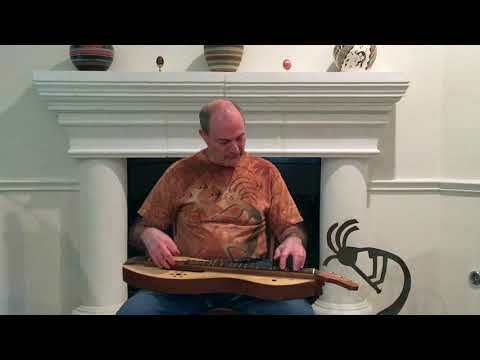 Mark Gilston plays a suite of two Danish sønderhonings on mountain dulcimer. The first is called Hollænder. The second is called Atten Gulerøder (18 carrots). A Sønderhoning is a Danish turning couple dance originating on the island of Fanø off the southwestern Danish coast. Two very fun and lively tunes, Mark. Thanks! Your left hand has a couple of big stretches in that first tune. What is the VSL of that MMD? IS that one of the shorter ones? Thanks Dusty. It's a G dulcimer. The VSL is 24", but I'm not doing any stretches that I would feel uncomfortable with on a full size instrument. This is so pretty, Mark! They have a festive feel for the holiday season, too.